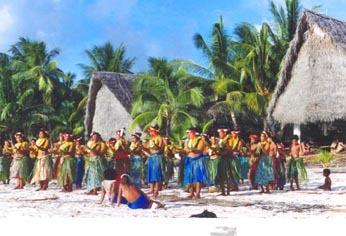 A large group of ladies perform in front of two canoe houses which are being occupied exclusively by men. It is taboo for women to mix with men in canoe houses in a public setting. Female observers must assemble in areas to the sides of the canoe houses or on the beach.